Ottawa Fury FC saw their hopes of advancing to the Amway Canadian Championship semifinal dashed Wednesday night in Edmonton as the Eddies took a 3-1 victory on the night to take a 3-1 aggregate victory and will host the Montreal Impact next Wednesday at Clarke Stadium. Despite owning 60 percent of the possession and producing several scoring opportunities Fury FC were unable to capitalize until the 90th minute when Vini Dantas netted the club’s first-ever Amway Canadian Championship goal. 17-year old academy product Hanson Boakai was the different on the night as he setup the first and third goals, both netted by Daryl Fordyce, and scored the second himself. On the night Ottawa out-possessed Edmonton 60/40 which was very evident in the opening 30 minutes with countless scoring chances coming from more than 10 set-pieces. Sinisa Ubiparipovic saw his free-kick from 20 yards denied by the crossbar and Philippe Davies saw his close-range volley miss agonizingly wide at the back post. Tony Donatelli and Sinisa Ubiparipovic proved very dangerous in the midfield for Ottawa spurring several attacks for the expansion side for which the Eddies had little answer for in the early going. Following one of Ottawa’s first half corner kicks, FC Edmonton caught Ottawa on a counter attack and the speedy Hanson Boakai maneuvered past Drew Beckie sending a low cross in for Darly Fordyce who wrestled behind Omar Jarun to redirect the cross past a diving Devala Gorrick to give the home side the 1-0 lead in the 30th minute. The first leg in Ottawa last Wednesday proved a feisty affair and that feistiness came out following the opening goal straight through to halftime. Despite a couple more threats Ottawa would head into the dressing room trailing 1-0. While Ottawa started the second half with lots of jump in their step, it was the Eddies and Boakai that got the jump on Fury FC. The dynamic 17-year old stripped Omar Jarun of the ball and went in one-on-one against Devala Gorrick. Despite an outstanding first save by Gorrick, Boakai tucked home the rebound into the empty goal giving Edmonton a two-goal lead after 48 minutes. With the goal Boakai put himself into the record books as the youngest player to score in the Amway Canadian Championship. Undaunted Ottawa continued to press as Carl Haworth, Philippe Davies and Tony Donatelli all continued to make hard work for the FC Edmonton defence, but were unable to cut into the deficit. The Eddies would extend their lead in the 62nd minute as Boakai made another quick run down the left wing sending the well-timed cross into the path of Fordyce who slotted home his second of the match to put the Eddies ahead 3-0. Marc Dos Santos, who had already introduced Vini Dantas prior to the third goal, brought in Pierre Rudolph Mayard and Hamza Elias in an effort to generate some offence which almost paid off. Mayard would send a close range shot over the bar and Elias would be denied from inside the 18 yard box. Haworth would also miss from close range which seemed to spell the story for Ottawa on the night who out-played and out-chanced FC Edmonton, but struggled to find the back of the net. In the 90th minute Sinisa Ubiparipovic would find Vini Dantas streaking through the middle and after the Brazilian fought off a challenge from two defenders he tucked a low shot past John Smits to deny him the clean sheet. Dantas, who notched the first-ever goal in club history against Minnesota nearly two weeks ago, went into the Fury record books on this tally for scoring the first-ever goal for Ottawa in the Amway Canadian Championship. Ottawa would throw several balls into the box late and earned a couple set pieces, but were unable to find any further goals as their late comeback fell short. 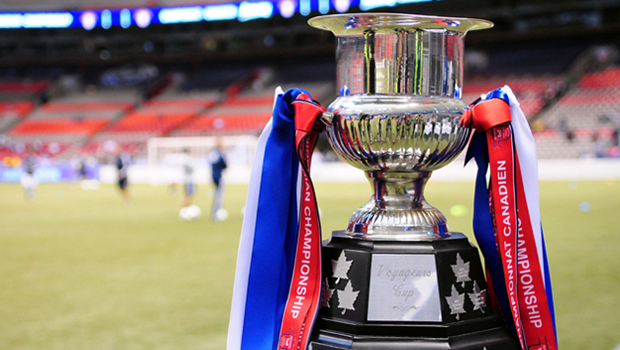 FC Edmonton will now prepare to host the Montreal Impact next Wednesday (May 7) at Clarke Stadium with the return leg in Montreal slated for May 14. Fury FC will travel to Atlanta on Thursday as they return to NASL action on Saturday against the Silverbacks at 7:30pm.